Between 1994 and 1996, Bishop Pierre Claverie and 18 others were killed during the Algerian civil war. 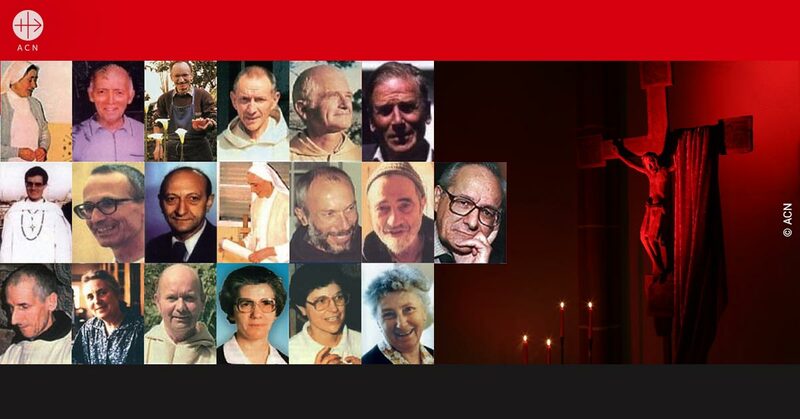 The cause for their beatification opened in 2007 and at the beginning of this year, Pope Francis signed the decree confirming that they died in “odium fidei” (hatred of the faith) thus recognising them as martyrs. 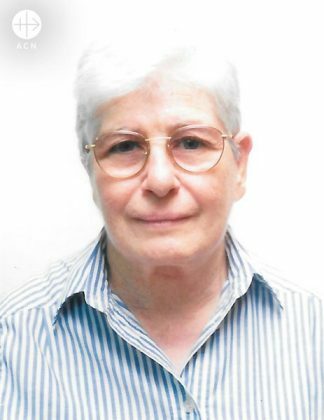 Sr Yvonne Gera, a Franciscan Missionary of Mary who worked in Algeria for 22 years and knew each of the 19 martyrs personally, speaks to Grace Attu from the ACN National Office in Malta about the martyrs and her experience in Algeria at the time. YVONNE GERA: First of all I would like to say that the war in Algeria was not a religious war but a civil war. The Islamists took advantage of the situation. On October 3 1993, all foreigners were warned that if they didn’t leave the country by the end of the year, they would be targeted. YVONNE GERA : I worked 22 years in Algeria and out of it was 14 years of war. Why I am here and was not killed during that time, I don’t know. I was also a target. In the morning I tell the Lord, “keep your Hand on me, help me to do my duty”. One morning, I received a call from French Ambassador. He asked to speak with Mgr Henri Teissier. The ambassador told him, “Go to the French hospital”. We went to the French hospital and there were 7 coffins. At first, they didn’t want to open it but Mgr Teissier told them, “If you don’t open it, I can’t say if they are the terrorists or the brothers”. Then he opened and in each coffin, there was only the head of each monk (the 7 Trappists). As I was waiting, Mgr Teissier told me, “Do you want to see them?”, I replied, “yes, for the last time”. It was horrible to see. The Church suffered a lot. But it was a Church of presence. We never preached. We didn’t go and preach here and there but everyone was welcomed and they came. I was in charge of all the clinics of the Church and all clinics had a centre for malnourished children and a centre for mother and childcare. Everything was free. We never had difficulties with the people. During Ramadan we used to be invited every evening to different families to have the meal with them. In the Basilica of Our Lady of Africa, it is written “pray for us and for the Muslims”. And the young women (including Muslims) who could not have a baby used to come to pray to our Lady, bringing a doll, and when she had the baby, she came to present it to Our Lady. ACN: Even today, many priests and religious who work in crisis ridden countries suffer threats to their lives. Some have been abducted. What word do you have for them? On the occasion of the beatification of the 19 Martyrs in Oran, Algeria on December 8, 2018, Aid to the Church in Need (Malta) will issue a booklet about the Martyrs, who they were, the kind of life they lived and some testimonies about them.